I mentioned anchoring the other week - where our decisions can be overly influenced by a piece of information. Another similar topic is framing. In a nutshell, the context and way situations are described can influence our decisions. This bias is called framing. Credit card companies are good at this. In the 1970s, many retail stores charged separate prices for stuff. 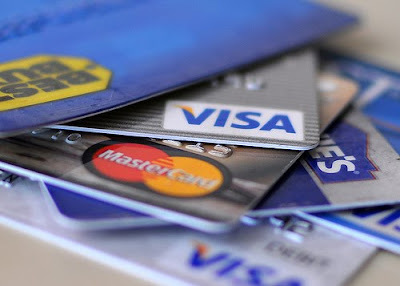 One price for cash payment and a slightly higher price if consumers paid with a credit card. Now, we consumers don't like to pay premiums for stuff. It bothers us. (I think this is loss aversion at play?) So, instead of calling the 'credit' price a premium, the credit card companies recommended that the retail stores call the 'credit' price the normal price. And if a customer paid with cash, she was actually getting a 'cash discount'. Smart stuff. Words are important. Google 'framing credit cards' to find a pdf about this called 'The Framing Hypothesis'. Better still, buy Nudge. I came across your site whilst searching for Absolut ads. I'm studying advertising and marketing in the states. I just wanted to tell you that I think your site is pure genius. how kind of you. I believe it was ts eliot that said that "talent imitates, genius steals..."